There’s no such thing as a ‘standard’ experience when it comes to carrying a baby. Even if you’re blessed with a relatively ‘easy’ pregnancy, there are still a lot of unique, humorous moments along the way that make the experience was it is. They’re things that everyone handles differently, but most new mums bond over them, and perhaps even come to look at them fondly. My best and worse will be different from the next persons, especially as I haven’t experienced any sickness or other complications. There are very likely much worse things than my personal list, but I can only go on my own journey so far. It’s a very mixed bag, and for every challenging thing, there’s something lovely to balance it out. 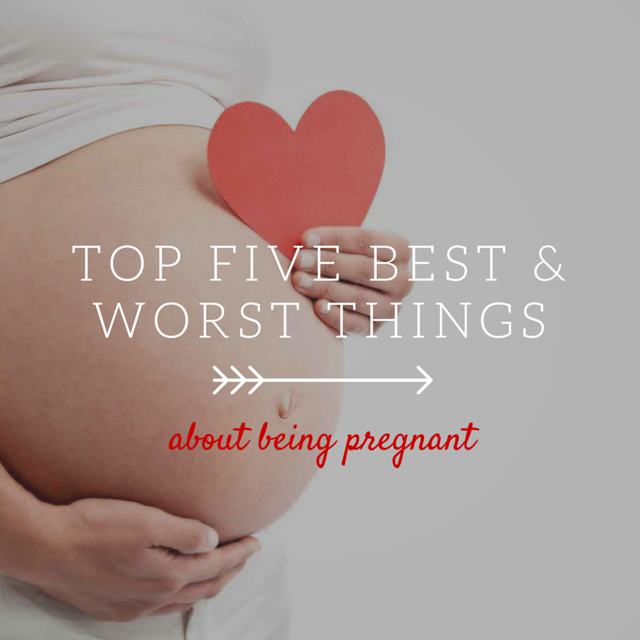 So, with tongue firmly in cheek, here are my Top Five Worst Things about being pregnant….and the Top Five best! Mention you’re expecting and suddenly everyone, their dog, and their dog’s uncle’s cousin twice removed has an opinion on the subject. Perhaps because children touch all of our lives in one way or another, but regardless their age and whether they are a parent themselves or not, people become extremely keen to chip in and offer an opinion. Now, most of this is well-meaning, so you can’t resent it, but it does get a little tiresome. You get older people that go all misty eyed and start telling you about the time when they came home from the hospital. You get recent parents who look at you darkly and mutter things about stitches in unmentionable places. And you get people that don’t have kids, but still want to repeat some awful cliché to you about kissing goodbye to your sleep/social life/fashion sense for the foreseeable future. The thing is that each pregnancy and each baby is so individual. Yes, I’m sure a lot of universal things do apply, but a lot also don’t, and it begins to get a bit grating when people effectively tell you what to expect or how to behave. With parenthood, there’s no choice but to figure out what works for you and your baby – and that will be different to what works for others. So my first resolution has been to ignore 99% of the ‘advice’ people are determined to push on me unasked-for over the next few months, and allow myself space to do it my own way. 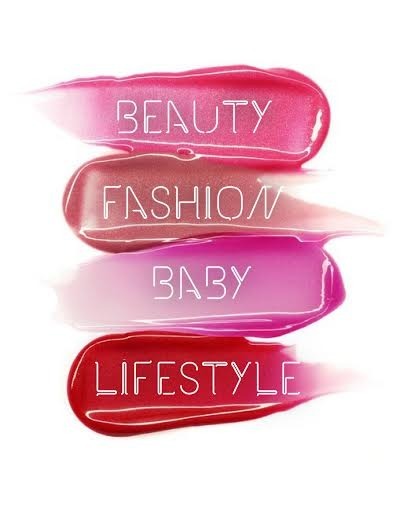 Why do retailers seem to think that getting pregnant requires a loss of all personal style? Yes, my shape has changed, but my tastes haven’t! I might be about to become someone’s mother, but that doesn’t mean my style is going to get all mumsy – I still want to look like me! Now, I acknowledge that there is a need to be practical and somewhat comfortable that becomes more important when you’re expecting. But why can’t I do that in bold colours, simple shapes and elegant silhouettes? Expensive brands like Seraphine, JoJoMamanBebe and Isabella Oliver seem designed for matrons in their 40s – and they’re ruinously expensive for things you don’t get much wear out of. Traditional ‘mummy’ brands like Boden are too keen on twee patterns, ruffles and floral prints. Even the trendier shops on the high street seem to lose their heads when it comes to maternity wear. I just wish Zara did a maternity line as that’s my favourite shop, but it looks like I’ll be making do in jersey dresses and leggings for a while to come! I’m aware that this one might make me sound like some kind of raging alcoholic, but I am totally missing being able to drink! I promise I’m not normally given to over-indulging, and I can go weeks without thinking of it, but being pregnant has made me realise how much I automatically associate having a tipple with certain rituals, and I miss that. The Friday night wind-down G&T. The cheeky glass of red with dinner. The cava in the bubble bath! Not being able to indulge has left me craving a drink. 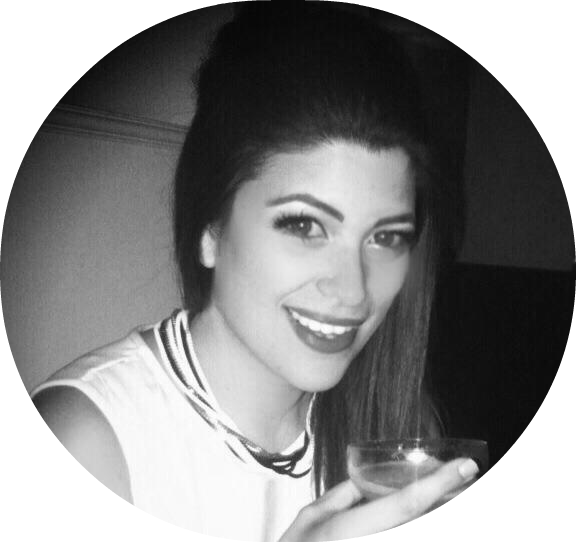 I miss a gossipy drink with friends or having a drink to round off a meal. My one brief experiment with 0% beer was distinctly unimpressive and left me vowing to stick to the OJ. I won’t drink, because of course I won’t, but I have taken to lingering longingly in the booze aisle and even mournfully sniffing other people’s wine! How sad is that? Arguably worse than the no drinking is not being able to take most forms of medicine. It’s been lucky that I haven’t been that ill so far, but I did catch a cold in my first trimester and I absolutely hated not being able to take Lemsip or Nurofen or even those fizzy Vitamin C tablets. Simple ailments that can normally grab something from the pharmacy to help with become complex affairs requiring numerous visits to the GPs office. Nothing is straightforward. Lately I’ve been missing hayfever tablets and have had to battle runny eyes and noses with nothing more than willpower. Basically all you are allowed is paracetamol, which I’ve never been much of a fan of. I now live in mortal fear of catching something and have become a complete germaphobe, because the thought of suffering through something with no medical relief is too much to bear. The hardest thing I’ve found so far to deal with is the rather indefinable ‘not feeling myself’. This is problematic because it occurs on all fronts, simultaneously. Physically, the change is obvious. I now have a barrel belly and aching chest all the time, nothing fits me right, and simple physical tasks are taking twice as long. Cleaning the house last weekend left me out of breath with a racing heart – something I hated as it made me feel old and unfit! Every choice I make now, from how long to sleep to what I eat, all affects the baby, so of course I sometimes feel like I’m not really in control anymore. It doesn’t stop there. A lot of the time I feel different mentally and emotionally as well. Although scientists have apparently disproved the existence of ‘baby brain’, in my experience the clarity of thought and focus is often just not there. I find myself going upstairs for something and forgetting what, or getting a mental block over a name or a date I know very well. Perhaps its because there’s a to do list as long as your arm when you find out you’re having a baby, but I feel a bit overwhelmed a lot of the time. And emotionally, I’ve just totally lost control. Happy or sad things now dissolve me into tears at the drop of a hat, even if I know rationally that they’re nothing to cry over. Last night in bed, Seb told me how proud he was of me so far and I completely lost it and couldn’t stop sobbing for a good half hour. Taken all together, I’m not feeling like myself anymore and that’s a massive adjustment to make. This tearful psycho with the aching back is not the real me, I swear! It might all be a function of effectively becoming a life support system for another little being, but that doesn’t mean I don’t miss the old me sometimes. Plus, having to plan every movement like a military operation based around the proximity of the nearest toilet gets old really quickly. On the positive side, I have been really enjoying the whole nesting instinct. Spending time at home gets more and more appealing, and naturally then you want to make sure its clean, decorated nicely and all the rest. I could sometimes be accused of being a bit restless but pregnancy seems to have cured me of that. Now, there’s nowhere I’d rather be at the moment than holed up in my bedroom with a good book or a few DVDs. My house has never been cleaner either! Glamourous bars and parties on a Friday night can now happily take a backseat to dressing down and slippers and a few episodes of Storage Hunters with a bag of Haribo! A thousand outside distractions plague our everyday lives, and sometimes it can be all too easy to neglect your other half, take them for granted or fail to appreciate the subtleties of their charms. But staying in so much gives you time to focus on that special someone. Having this baby has given us a new level of closeness - being complicit in the creation of this little person who is literally both of us combined is absolutely indescribable until you get there. Plus pregnancy – or nascent pride at impending fatherhood – makes your partner so caring and considerate. Seb has always been a gentleman where the treatment of ladies is concerned, but he’d be the first to admit he can be on the bossy side also. I’ve never had my own way so much since seeing that little blue line! Suddenly, decisions that would have been a battleground are no problem. Although from time to time, I still get randomly freaked out by just how much the onset of pregnancy is like the early plotline of ‘Aliens’, one of the great joys is the amount of movement I’m feeling. Even when its occasionally painful (and believe me, I’ve heard plenty of dark tales about tiny feet being wedged into the maternal ribs as the baby grows), its still somehow amazing. Convincing yourself that each fluttering and kick is your child saying hello, trying to communicate or just asserting their tiny existence takes on previously unimagined depths of awesomeness. It provides the beginnings of a connection like no other. I was so worried when I first fell pregnant about where exactly this magical feeling of love would come from, having never once considered myself maternal before, but now I know that each foot in the spleen and elbow in the bottom of the lungs teaches you something rather profound about love. Being pregnant teaches you that, however unlikely it seems at times, there is still a lot of human decency out there. Strangers are surprisingly kind when you suddenly begin to look like a beached whale. Doors get held open, queues for the ladies part like the Red Sea and seats are offered. It’s a bit like being a minor z-list celebrity. People want to take care of you. And as someone who has never minded being babied a little (that’s how the bossy dynamic works with my husband), I really like these waves of kindness. Because one of the things that is surprising about pregnancy is how vulnerable you can feel sometimes. Suddenly, you’re responsible for keeping this little person safe, and that can feel quite overwhelming. Your Spidey Sense seems to permanently tingle with danger. Every overly rowdy crowd, drunken stranger or unfamiliar route begins to feel a little more risky. So a few people doing nice things for you offers the world of reassurance that really, most people are pretty darn lovely. No list from a self-confessed shopping addict would be complete without the mention of the glorious retail opportunities pregnancy provides. Suddenly, there is a whole other little person to buy for, and their outfits are generally significantly cuter than yours. Since finding out we’re having a boy I’ve been losing myself in bear printed onesies, little quilted jackets, gilets and miniature neckerchiefs. And that’s just the clothes. There’s a world of Paddington wallpaper for the nursery, tiny racing cars, four-wheel drive travel systems and limited edition teddy bears to delight the senses. Half of it you know you won’t need in the first place but that doesn’t stop you lusting after it. Never let practicality get in the way of a good retail opportunity! So, that’s my little list…what do you think are the best and worst things about this crazy thing called pregnancy?